Purple really brings out your eyes. With its focus on the villains instead of the heroes and the unabashed cuteness of the characters known as Minions, Despicable Me became an unexpected commercial and critical hit back in 2010. Featuring Steve Carell as the voice of Gru, an evildoer dealing with the bureaucracy of being bad, along with the unwelcome addition of three orphan girls into his home, the movie managed the near impossible. Without the Pixar push, House of Mouse marketing, or stale student casting conceits of Blue Sky or Dreamworks, the little CG movie that could became a big fat international franchise, demanding sequels and spin-offs. 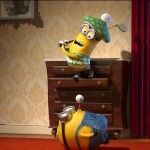 So before the Minions make their way to their own movie, we are saddled with the wholly unnecessary if still slightly entertaining Despicable Me 2. Ditching the original film’s “it’s tough to be a scoundrel” approach for a more kid friendly, desperate sort of pandering, it’s as if directors Pierre Coffin and Chris Renaud studied everything that made the first film a success with the under ten crowd and decided to amplify it twentyfold. Instead of anything inventive, we get fart guns, fat jokes, attack chickens, musical montages, and so much Minion that the movie practically functions exclusively within their little yellow faux foreign language speaking world. Gru is now happily retired from the criminal game. Hoping to jumpstart a career making jellies (and, maybe, in the future, jams), he loves spending time with his adopted daughters Margo (Miranda Cosgrove), Edith (Dana Gaier), and Agnes (Elise Fisher). When a shipment of something calling PX-41 is stolen from a secret government lab in the Antarctic, the Anti Villains League, run by Silas Ramsbottom (Steve Coogan) sends Special Agent Lucy Wilde (Kristen Wiig) out to recruit Gru. They figure that the best way to capture some rogue is with a former member of his peer group. Setting up a front in the local mall, our duo sees all clues leading to a Mexican restaurateur (Benjamin Bratt) who may have been the supervillain El Macho in another life. 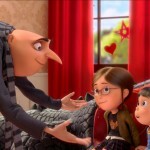 As they get closer to finding the movie’s MacGuffin, Gru and Lucy grow closer as well. As long as you are under the age of eight, unsophisticated, and fed a steady stream of what our current culture deems appropriate family fare (Urine and gay jokes? Check. Smart, funny writing. Nope.) you’ll adore Despicable Me 2. 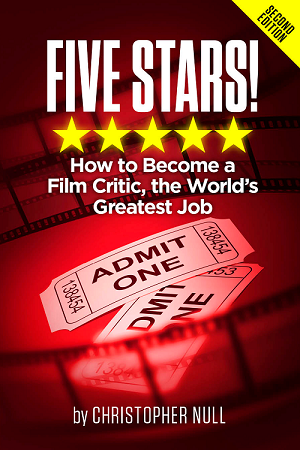 As stated before, it parses out the stuff you dug about the first film and turns it up to 11. This means that most of the measly plot, which could literally fill a cinematic thimble, is divided up by more and more Minions doing more and more of their commercially coveted Minion hijinx. Wanna see a little yellow bugger dressed up like a maid, mincing about? You got it. Want several of these comic sidekicks eating ice cream and partying like it’s a PG 1999? No problem. Want Gru and the girls to act like the setup to more and more Minion mania? Okay. Just don’t expect much more. Indeed, all the new additions are unnecessary. Wiig (who played the orphanage owner in the first film) is all perky and pleasant while Bratt (stepping in for an MIA Al Pacino, who left the project over “creative differences”) is all Latino stereotyping. In fact, one of the worst things about Despicable Me 2 is how it cloyingly caters to certain audience expectations without ever once trying to thwart them with a bit of invention. It just moves, mechanically, counting the dollars along the way until the next slice of specious franchising can come along and collect more cash. It’s a shame, really. The original had something equally new to say about our fixation with heroes and villains. 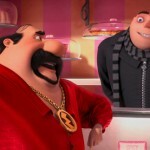 Despicable Me 2 only cares about the bottom line… and increasing it.